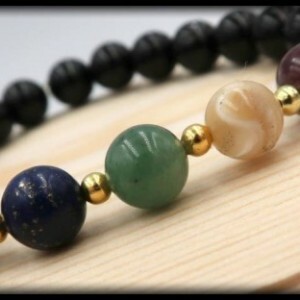 This wood based chakra bracelet is truly an amazing combination of natural wood and gemstones! 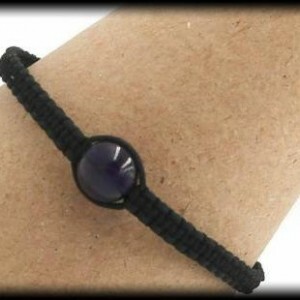 This bracelet will help to ground your energies while alleviating stress and motivating for success in your career or business. As you become successful on your life's path it will bring you prosperity and help you to be a great leader. As you develop structure in your life your faith in yourself will increase and your fears will decrease. At last you will find your true spiritual purpose full of wealth and riches while this beauty protects you from back stabbers and bad energy.